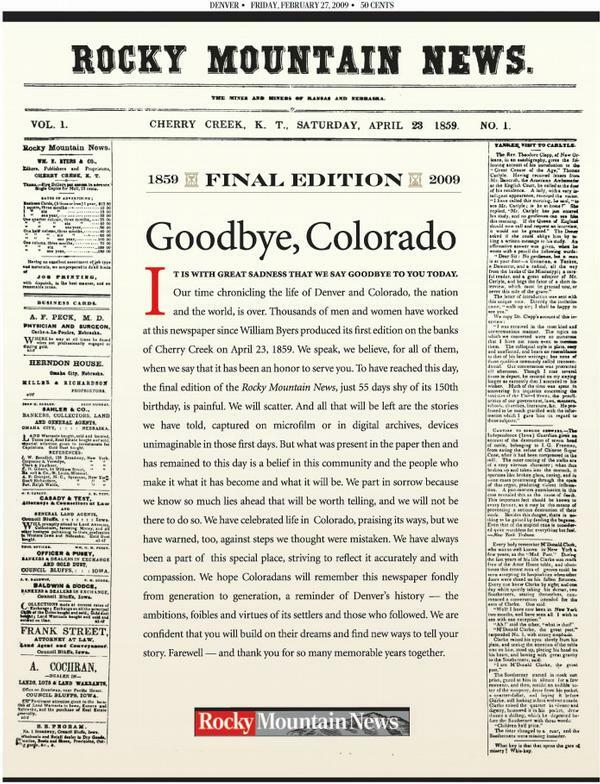 The Rocky Mountain News published its final edition Feb. 27, 2009. While it’s generally assumed a community is worse off when a newspaper shuts down, an Oregon college professor tried to quantify it. Portland State University’s Lee Shaker recently published a paper, “Dead Newspapers and Citizens’ Civic Engagement,” that found civic engagement dropped in Denver and Seattle when the Rocky Mountain News and Seattle Post-Intelligencer stopped publishing. Denver’s decline was highest, with relative civic engagement dropping by nearly 30 percent (see chart on page 29). Ultimately, if we desire healthy and productive democratic communities, then the provisioning of local news –- which helps tie citizens to each other and their communities –- must continue. 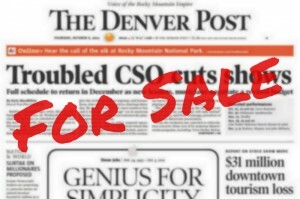 Newspapers like the PI and Rocky may be gone, but a commitment to local news and information cannot be abandoned. A draft of the paper can be found on Shaker’s website.